While not as impressive as Pineapple Malibuu's extensive spread, we managed to whip up quite a smorgasboard for the recently-concluded Christmas dinner. On the menu was a creamy pumpkin soup, smokey roast veal, roasted carrots and potatoes, an excellent leg of Virginia ham, and two amazing baked snappers. 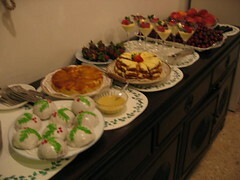 Dessert was no less encompassing, with individual Christmas puddings, a banana cake, chocolate-coated strawberries, panna cotta, and a mountain of cherries and peaches. Christmas just keeps getting better every year. For this year's Christmas dinner, it was decided that roast veal would make an appearance on the menu, notwithstanding the fact that I've never done it before. This particular roast comes from the rack, which is one of the best cuts for roasting, especially for a long, slow roast at a low oven temperature, which really brings out the tenderness of the veal. The friend this recipe comes from swears by the milk-fed veal rack from Swiss Butchery. 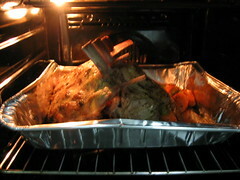 Notes on Ingredients: Ask the butcher to halve the rack into two racks of 4 chops each, to make for easier roasting. This recipe doesn't require a lot of ingredients, which is what makes it so appealing. 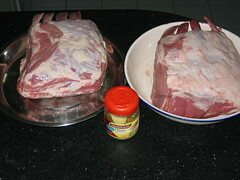 Spread the Dijon mustard on the veal, paying special attention to the fat side, as well as the two ends. There's no need for an especially thick layer of mustard. Heat the olive oil over medium-high heat in a frying pan. When the oil is sizzlingly hot, brown the veal, fat side down, in the oil. The reason the veal looks like it has peppercorns on it is because I used some Australian whole-grain sun-dried tomato mustard instead of regular Dijon. 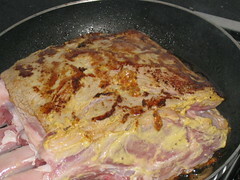 Once the veal has been nicely browned on one side, flip it over and brown the other side. Don't forget to brown the two ends of the rack as well, though you probably want these to be golden-browned and well-sealed, as opposed to the more charred sides. Once that's done, arrange the racks into an interlocking guard of honour and pop them into the oven to roast slowly for 2 hours. This ensures an even cooking that really allows the meaty juices to develop and prevents your meat from over-cooking. For an extra-special touch, while the meat is roasting, fire up a charcoal grill and bank the flames so that the coals are just glowing. 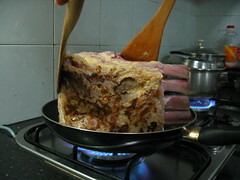 After two hours, remove the veal from the oven and let it rest for 15 minutes to allow the juices to redistribute. 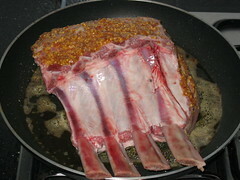 Using a sharp knife, carve the meat from the bone, following the contour of the ribs, in one slab. If you have a charcoal grill, grill the meat and the bones for a minute or two on each side to give the meat a wonderful smokey flavour, which serves as a robust counterpoint to the tender veal. 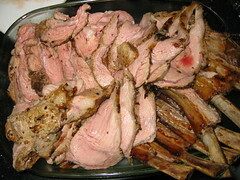 Once you've done that (or if you decide to eschew the grilling), cut the slab of veal into thin slices to serve. The meat should be lusciously, tantalisingly, blushingly pink, with no question of over- or under-doneness. 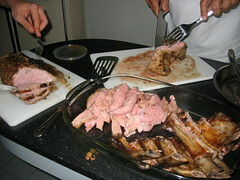 The bones can also be separated and served, as there is a fairly generous amount of meat attached to them. Since we were feeding quite a large number of people, the veal was placed in a large glass dish, but you could just as easily serve this in individual portions. Excellent with some roast potatoes and a rich red wine-based sauce. Any leftovers (though this is most unlikely), particularly the bones, are just as good the next day. I've become rather fond of roast potatoes, which probably has something to do with the fact that they're served quite often for lunch in the UK. Properly done, they're crunchy and crispy on the outside, but still soft and fluffy on the inside; a perfect accompaniment to any roast or grill. 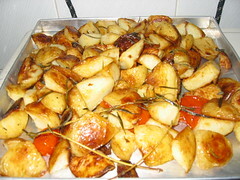 Recently we had to cook up a storm for Christmas dinner, and one of the side dishes was garlic roast potatoes. This recipe comes from Steaks, Chops, Roasts and Ribs by Parragon Publishing, but I've tweaked it a bit. Notes on Ingredients: Goose or duck fat work very well with roast potatoes, you can probably buy them from gourmet supermarkets or Culina. 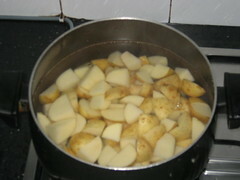 Cook the potatoes in a large pan of lightly salted boiling water over medium heat, covered, for 5-7 minutes. They will still be firm. 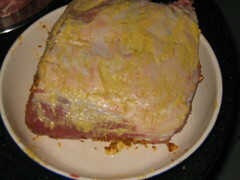 Meanwhile, add the fat to a roasting pan and place in the hot oven. Drain the potatoes well and return them to the pan. Cover with the lid and firmly shake the pan so that the surface of the potatoes is slightly roughened to help givem them a much crispier texture. Remove the roasting pan from the oven and carefully tip the potatoes into the hot fat. Baste them to ensure that they are all coated with it. 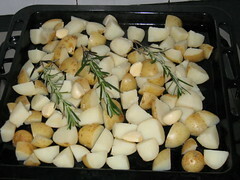 Lay two or three sprigs of rosemary over the potatoes and scatter the cloves of garlic among the potatoes. Roast the potatoes at the top of the oven for 45-50 minutes until they are browned all over and thoroughly crisp. Turn the potatoes and baste again only once during the process or the crunchy edges will be destroyed. In the last 5-10 minutes of roasting, toss in the cherry tomoatoes, which will help to keep the potatoes moist as they finish cooking. 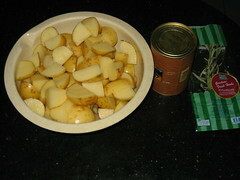 Using a slotted spoon, transfer the potatoes to a warmed serving dish and sprinkle over with some salt. It seems that casual pizzerias and bistros are all the rage these days. From Da Paolo to St. Pierre, every restaurant worth its salt has a casual eatery to its name. Papi is the latest offering by Colleoni and Chiarini, the same blokes behind Oso Ristorante. Papi's been around for a while now, but I only managed to give it a try recently. 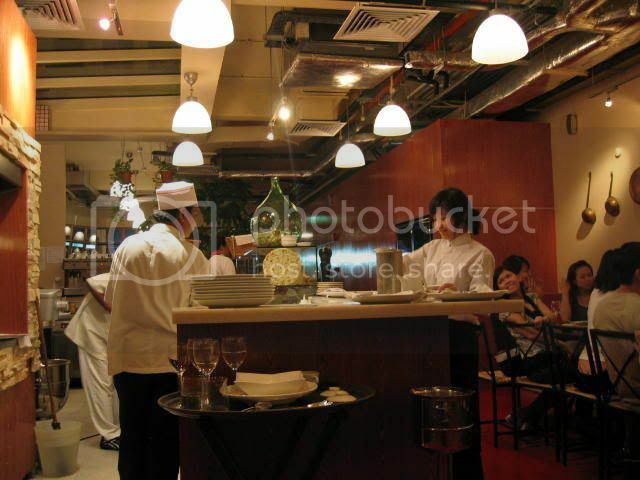 Papi occupies a spot along Mohamed Sultan Road, and has quite a cosy interior, filled with warm yellow lighting and a dominated by a long counter where most of the food is prepared. 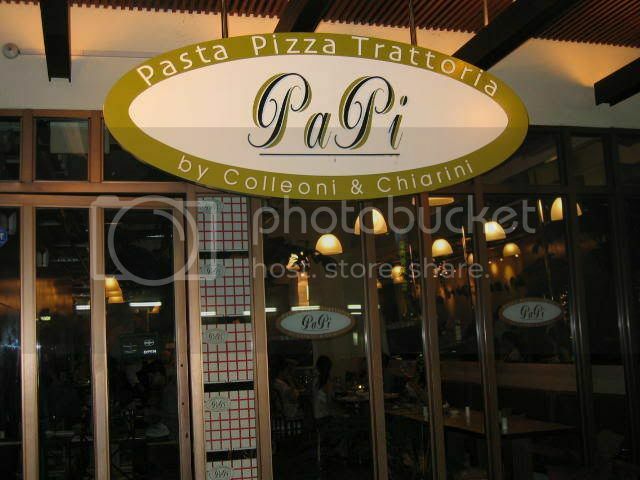 I had heard generally favourable reviews about Papi so I decided to go and give them a try. 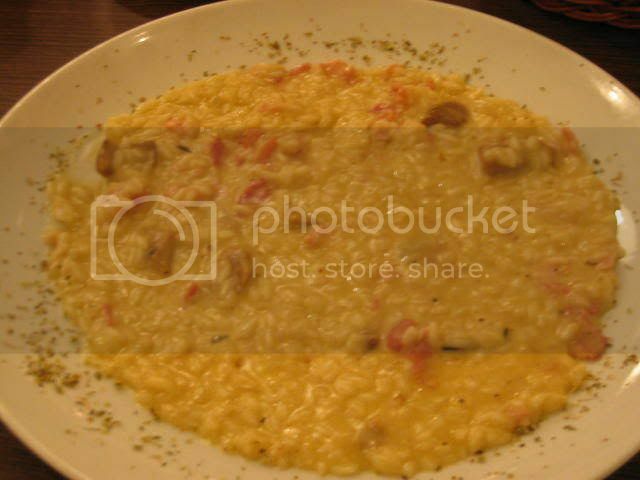 On my first visit, I had the risotto with mixed cheese, pancetta and mushrooms "Boscaiola" ($18). In terms of taste, there was nothing wrong with this dish, but texturally, it was completely off. 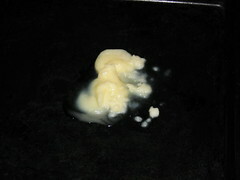 The melted cheese had partially congealed, forming a skin over the risotto, and the grains of rice were a little too firm. I was somewhat disappointed by Papi's offering, but being charitable, I decided to give them the benefit of the doubt and revisited the eatery a week later with some friends. 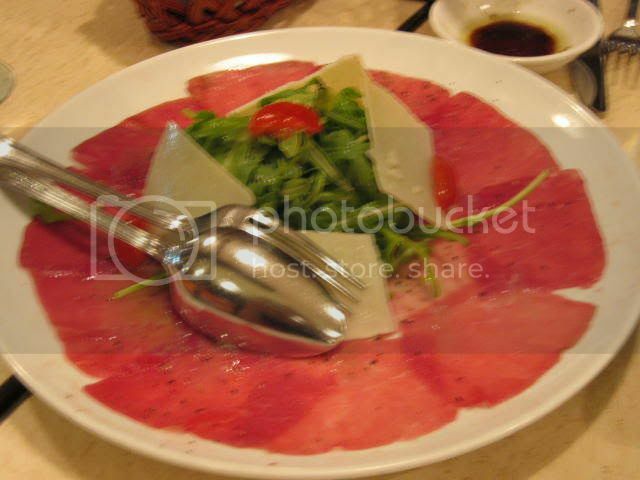 We started with an order of thinly-sliced beef carpaccio and calamari rings. 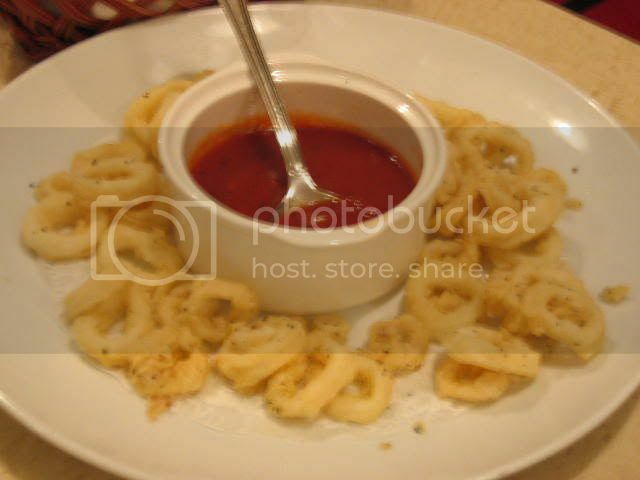 While the calamari rings were okay, they're not exactly something that can be messed up easily. The carpaccio, however, failed to impress. It was much too salty, and the beef didn't seem at the height of freshness. 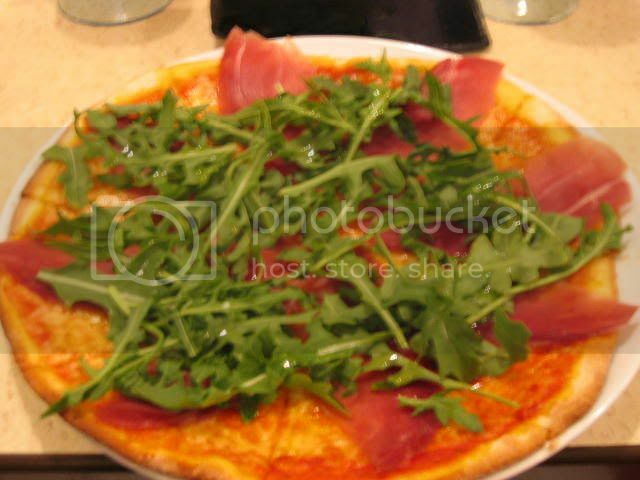 I had a pizza with rucola and prosciutto ($18), which had an amazingly thin and crispy crust, but was a little too oily at the base, causing the pizza to become soft and soggy if you didn't eat it quickly. If they'd used less oil, this would have been really good, as the ingredients were quite generous. 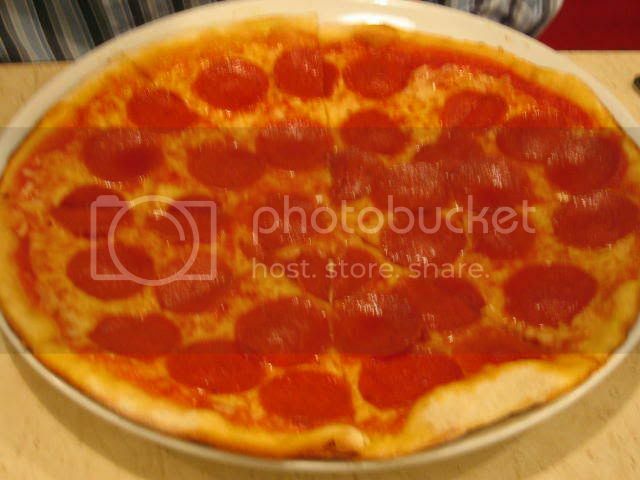 The pizza with pepperoni "Infuriata", however, was fairly dripping with oil. I know it's common practice to drizzle olive oil on pizzas when baking them, but this was really unappetising. Not only was it unpleasant to look at and eat, it also made the whole pizza a sodden mess. Continuining the trend of disappointing food was my dessert, which was a coconut-flavoured panna cotta ($12). Not only was it served without any accompanying berries or fresh fruit (save a lone gooseberry) to cut through the richness, it was also quite rubbery and completely unpalatable. 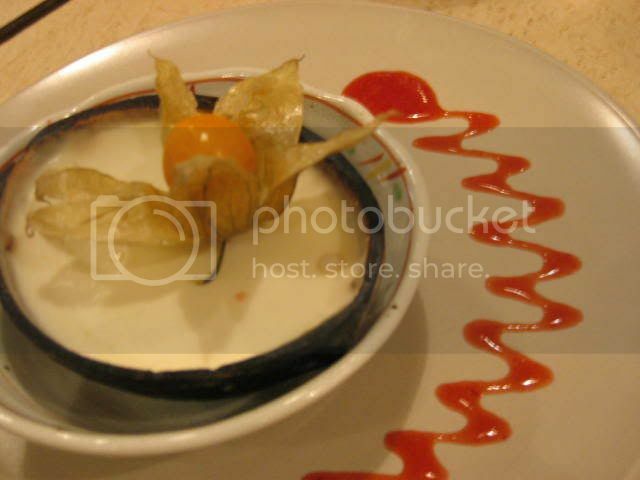 I don't understand why it is so hard to find decent panna cotta in Singapore. It's really not that hard to make, but it's almost a truism that every time I've ordered panna cotta in an Italian restaurant here, I've been disappointed. I was really surprised at the standard of food being served, considering that Oso is one of the best Italian restaurants in Singapore, and that Papi has garnered generally good reviews from other food-bloggers. Apart from the bad food, service is okay; nothing fantastic but not slip-shod either. All in all, Mohamed Sultan is too far to go for sub-standard Italian food (and is too remote from the MRT and has lousy parking), especially at the prices Papi charges, which are not exactly cheap. One of the more under-rated dining areas is the Biopolis, which is right opposite the much more well-known, and well-patronised, Rochester Park. This is despite the Biopolis having a much more convenient carpark and a huge landmass. I suppose most of it has to do with visibiity, accessibility and appeal. Despite its practical attractions, the Biopolis is still, at heart, a research and bio-science facility, and any eatery located there suffers from that reputation and a general lack of publicity. 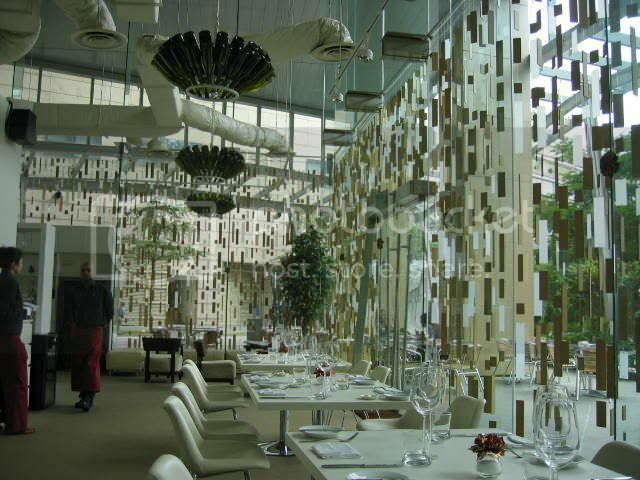 One such eatery is Infuzi, which has a name that's strangely in keeping with the Biopolis's scentific themes (its carparks have names like Helios and Nanos). The last time I was there was a few years ago, and I was surprised to learn that it was still soldiering on despite what must be a small clientele and fierce competition, especially since their prices are not all that cheap. Recently I returned to have lunch, which was supposedly more reasonable than having dinner. 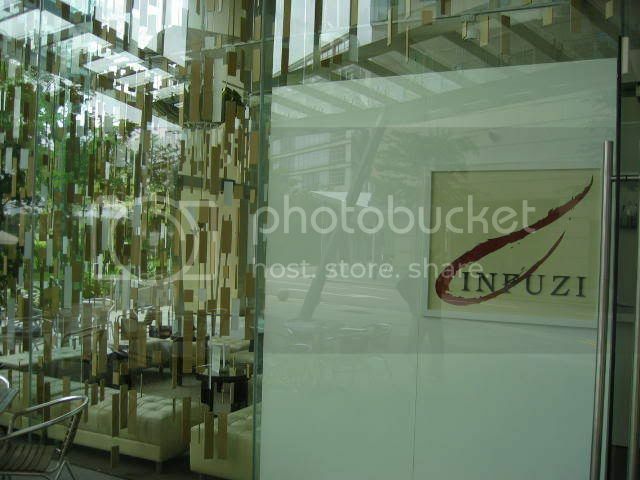 One of the most appealing things about Infuzi is its ambience. The floor-to-ceiling glass walls allow in plenty of light, and the cascading wooden tiles do justice to its name, while at the same time creating a visually-striking decoration. 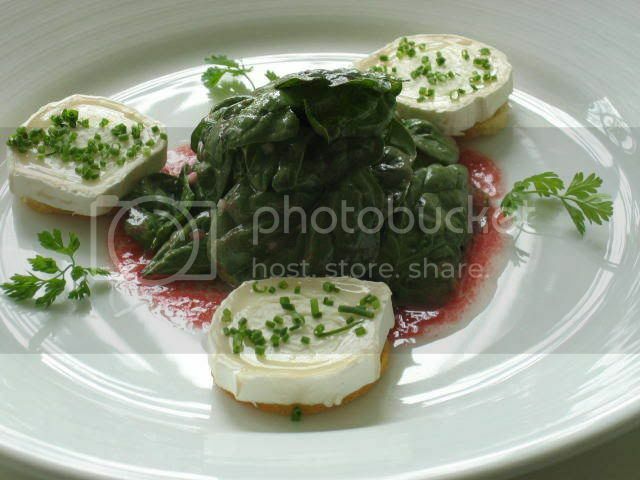 My starter was a goat's cheese salad of baby spinach leaves and raspeberry vinaigrette, which was quite enjoyable, though the goat's cheese was slightly thick and sticky in the middle. I had the beef bourguignon for my main course, and found that, while nicely presented, it was lacking a certain something. 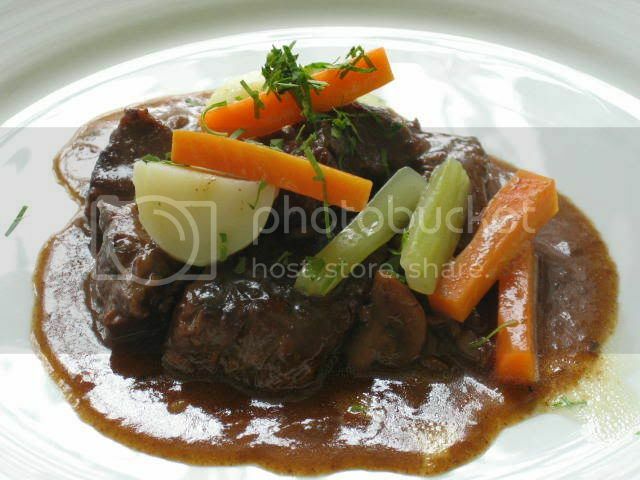 Firstly the meat was a little dry and flaky, and secondly the stew didn't taste like it had been cooked with red wine. Another diner had the pan-fried snapper, which I include simply because I took a good photo of it. 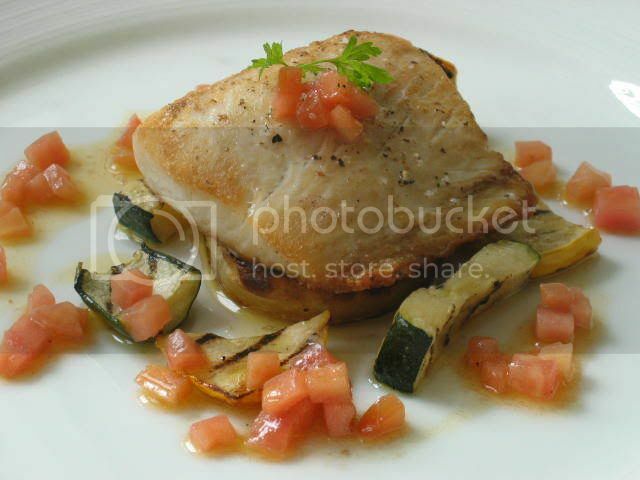 One good thing about Infuzi is that it scores top marks in terms of food presentation. 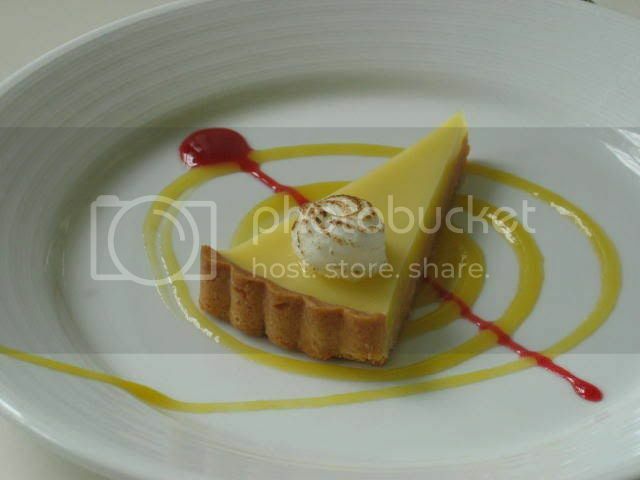 Although I wasn't eating the lemon tart, I found the decoration and contrast of colours appealing enough to take another photograph of it. 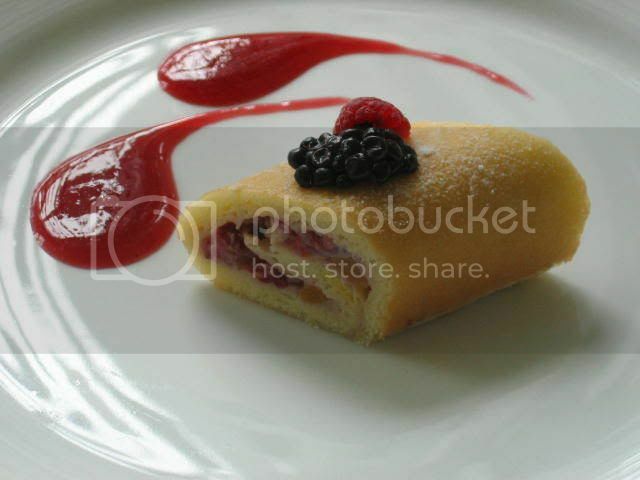 My actual dessert was the fruit roulade, which wasn't as visually attractive as the lemon tart, and in terms of taste wasn't particularly memorable. I always feel that desserts should be the real stars of the meal, since they're the last thing a diner remembers; it would make sense to save the best for last. Overall, I felt that $30 was rather too much to pay for a set lunch in general, and definitely pricey for the unimpressive food and limited selection. While I applaud the restaurant's bravery and perseverance, either its food or its pricing needs to undergo significant revision before it see more customers. Apart from that, location, service and ambience are all quite blameless.